Finding professional Honduras travel videos can be a hard chore. There are many out there, but few are objective and really promote or recommend a professional company. I must say that I enjoy viewing the travel videos about Honduras that Promodias produces and promotes. Promodias is a Honduran company based in San Pedro Sula that works hard to create a travel community throughout Honduras. They work very closely with Hedman Alas bus Company. As such they promote the destinations that are serviced by the bus company. These destinations include Tegucigalpa, San Pedro Sula, Lake Yojoa, Copan Ruinas, Tela, La Ceiba and the Bay Islands of Utila and Roatan. Recently, we received a visit from Aaron Hedman, CEO of Promodias at La Villa de Soledad B&B. Aaron was on a quick trip to the Cangrejal River Valley and wanted to produce a video about our Bed and Breakfast. Since I knew in advance he was coming, I drove into town to the ferry terminal to pick him up. He was arriving from Utila on the Utila Dream Ferry. On the trip up the Cangrejal we discussed several ideas about the video he wanted to produce and came up with a game plan. Producing Great Honduras Travel Videos! After a hearty breakfast, we got to work. 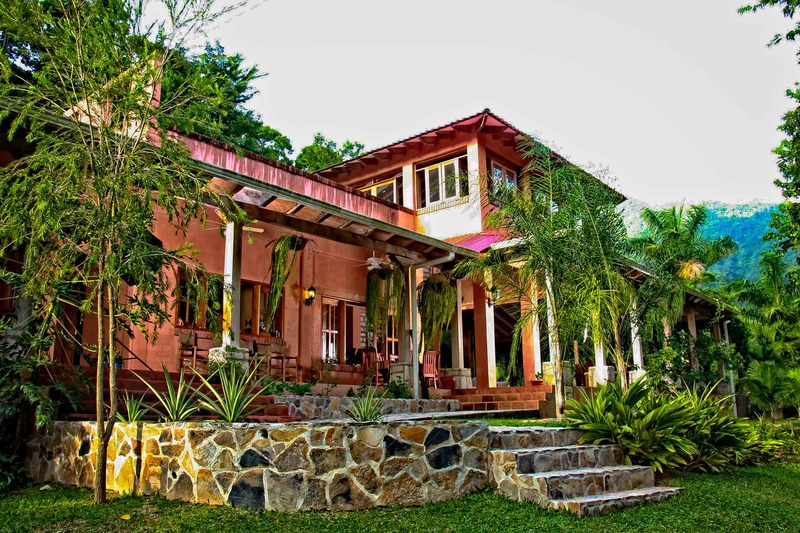 It all started with an interview, where we talked about La Villa de Soledad B&B. Our view of nature, hospitality and tourism in Honduras. The relationship and perfect combination of spending a few nights in Utila Island and then at the Cangrejal River Valley. The ease of traveling between these two incredible destinations in Honduras. The charm of the rainforests of Pico Bonito National Park and the adventures to be enjoyed while staying in the Cangrejal River Valley. These activities include white water rafting, hiking in the jungle to hidden waterfalls and enjoying the river. It was fun and exciting to put the video together, and I must say that once Aaron shared the video with me, I found it thrilling. If you are looking for unique destinations in Honduras, I invite you to check out the Promodias website. To take full advantage of your travels throughout Honduras buy the Promodias Card. This card opens the door to a community of travel related businesses. They all welcome the card, which gives you a discount just from buying the card. You can buy the card at any Hedman Alas bus station in Honduras. Your travel discounts will begin immediately when you purchase you bus tickets at Hedman Alas. Plan your stays at lodges that are affiliated to Promodias. Take advantage of the tours and even restaurants and save money while traveling through Honduras. Best of all, discover all the best places where to stay and things to do! Check out the different Honduras Travel Videos by Promodias! « Yuscaran, one of my Favorite Towns in Honduras! » Wine Bar in La Ceiba?